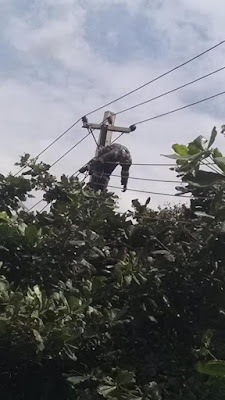 An official of the Ikeja Distribution Company (IKDC) was found on a electric police after been electrocuted today. 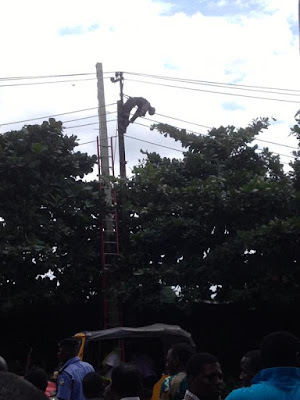 According to a reader of 234Forum, she said the PHCN official was noticed when he was not moving after about 15 minutes. The electric pole is just right in front of the police college in Ikeja,Lagos. Policemen came to the rescue and he was moved to a nearby hospital before he was confirmed dead.